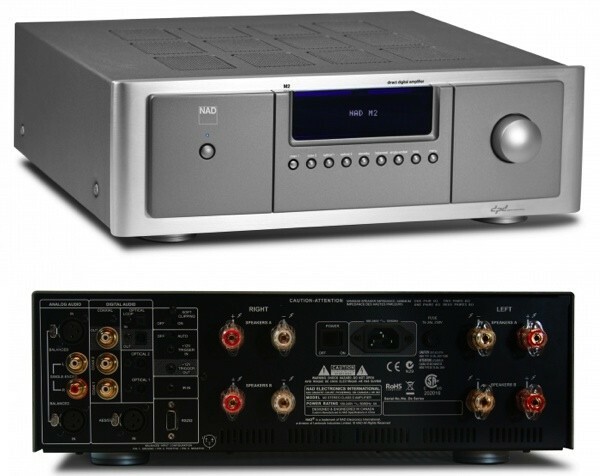 The NAD M2 Direct Digital Amplifier represents a new level of amplifier performance. Combining the ultra low distortion and noise levels of the finest linear Class A and Class AB amplifiers with the efficiency and streamlined signal path of the digital amplifier, the M2 is the first implementation of a new amplifier technology called Direct Digital Feedback. Co-developed with UK based Diodes Zetex Semiconductor, and using a unique implementation of their patented DDFA architecture, the M2 redefines what is possible with digital amplifier technology.